Restaurants, cafes and best clothes bargain are not the only things Bandung is famous for. 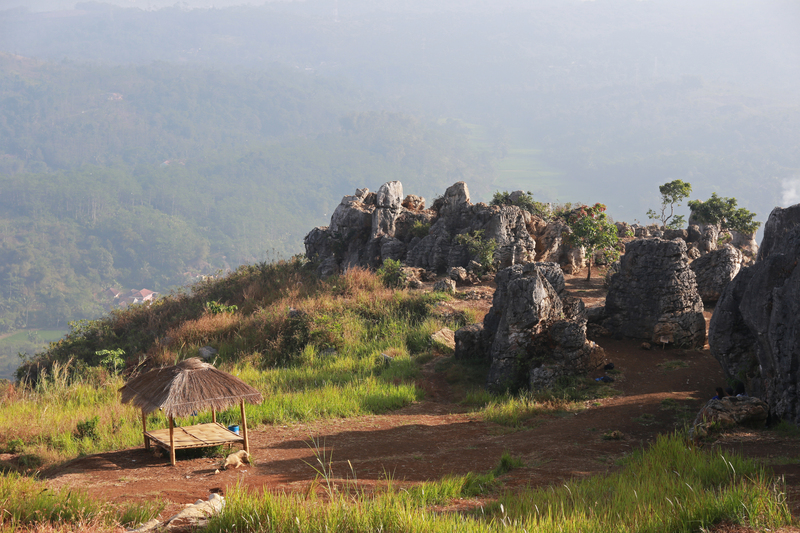 Bandung has beautiful natural surroundings which are located slightly outskirt of the city center. 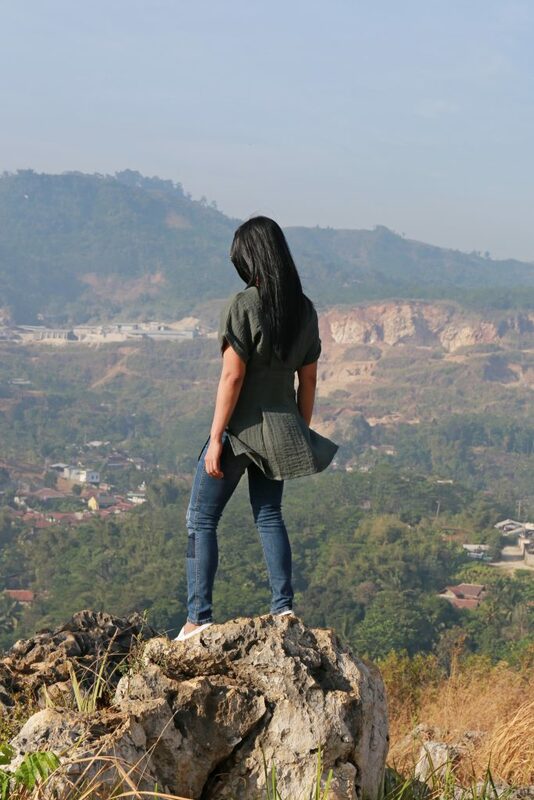 While there are many famous places for its beauty in Bandung, there is a newly discovered place: Stone Garden or known as Taman Batu Geo Park. Well, it is not that new as people living nearby the area have known the place for many years. It was not accessible before it was opened for public in 2014. 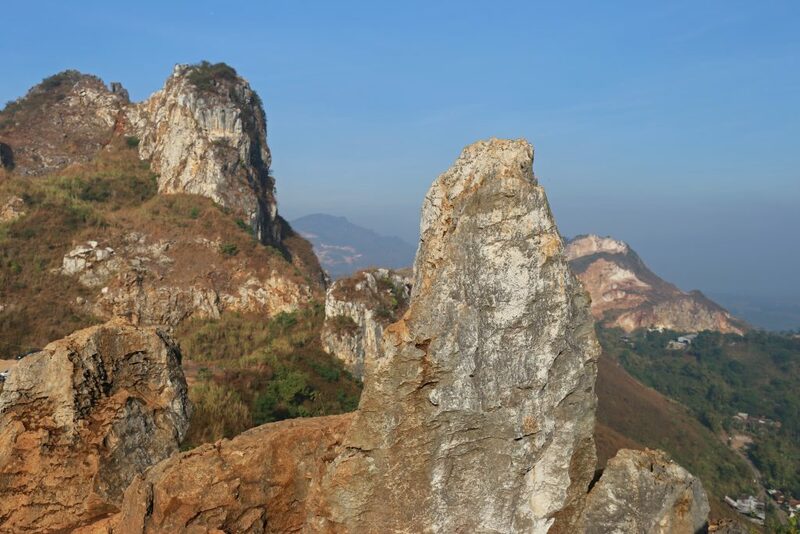 Taman Batu Geo Park only gains its popularity recently when a local travel TV programme aired the beauty of the place. We were so curious about “Taman Batu” when we heard it for the first time and immediately googled it. To our surprise it is not on Wikipedia page just yet by the time we went there (and while this post was written). Finding the information in English was still a challenge for off the beaten path spot like Stone Garden. At this point in time, I feel lucky for being Indonesian thus I could easily understand the stories written by local travel bloggers. 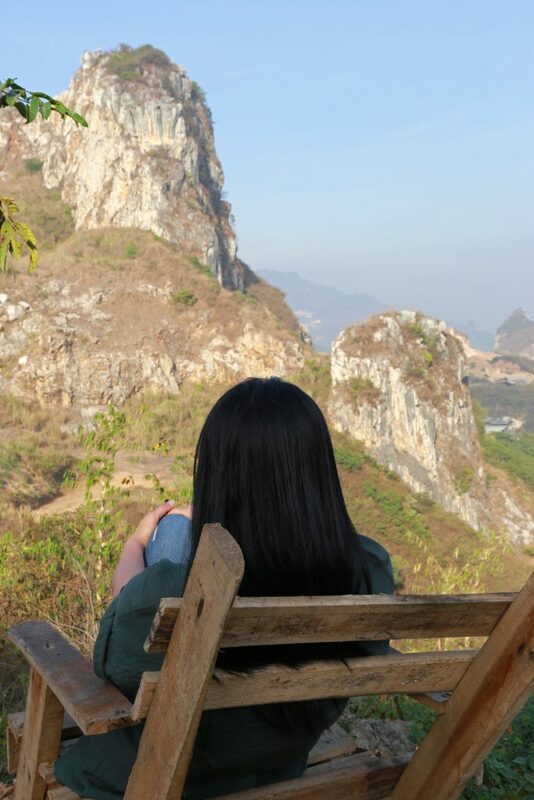 Needless to say we visited Stone Garden after reading and looking at pictures captured by those local travel bloggers. It took us nearly 30 minutes from Bandung to reach the exit toll road gate of Padalarang. It took another 45 minutes from the toll road exit gate to reach parking lot of the Stone Garden because of the traffic and the bad condition of entrance road to the Stone Garden. The road to enter the site has not been paved just yet. I could not drive faster than 20km/hour after getting to the entrance road to the Stone Garden. 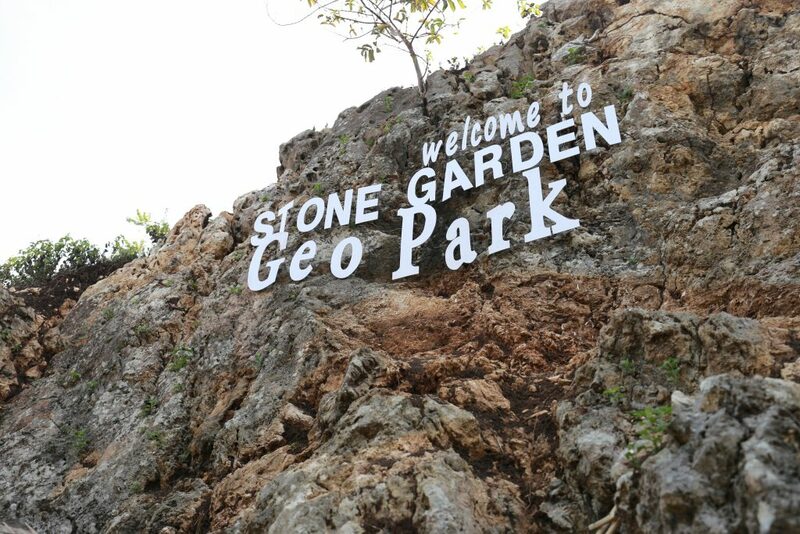 Our first impression was that the efforts to turn Stone Garden as a tourist spot are underway. Simple/traditional toilets are available on site, a parking space is available and a modest entrance locket is also available. We were a little bit shock knowing the entrance fee was only IDR 5,000 or less than USD .50 cent and parking only costed us less than USD 1. 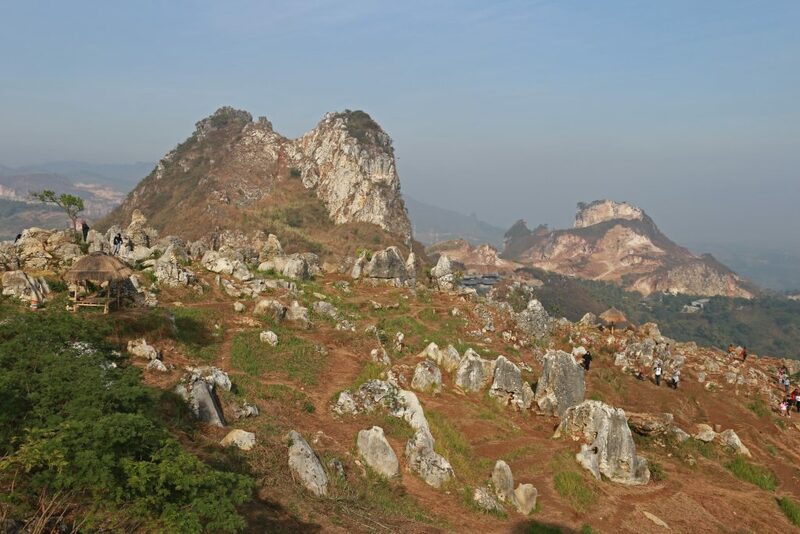 Splendid, that was our first impression the moment we saw a formation of stones on the hill. If you ask me to come up with a list of must do things in Bandung, I would put a visit to Stone Garden on top of the list. 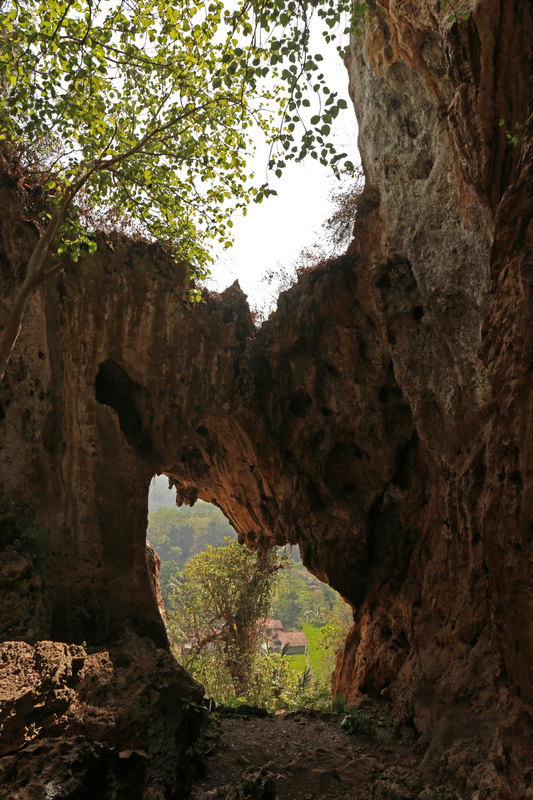 Pawon Cave or Gua Pawon in Indonesian is an important archaeology site located nearby the Stone Garden. The archaeologists discovered ancient fossil inside the Cave when they explored the site. The exact spot where the fossil was discovered is fenced and close for entrance but replica of the fossil is displayed within the fence. 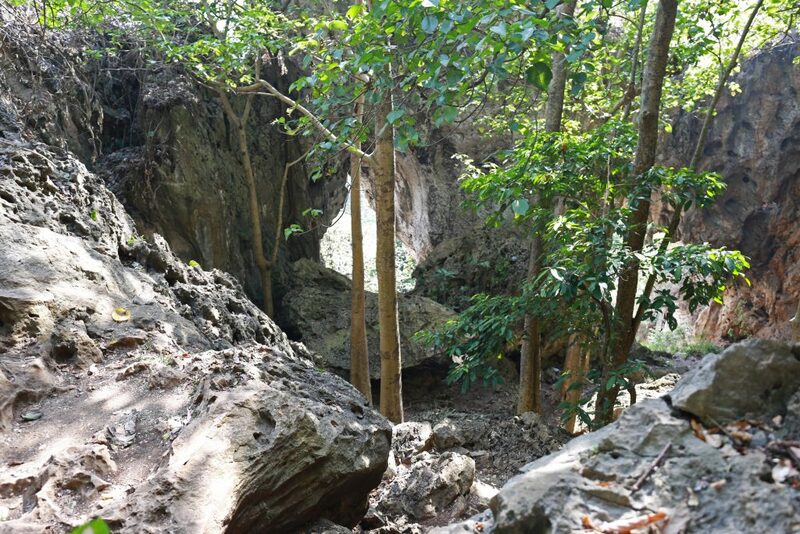 It is believed that the Cave was once a house of ancient people with rooms and windows. 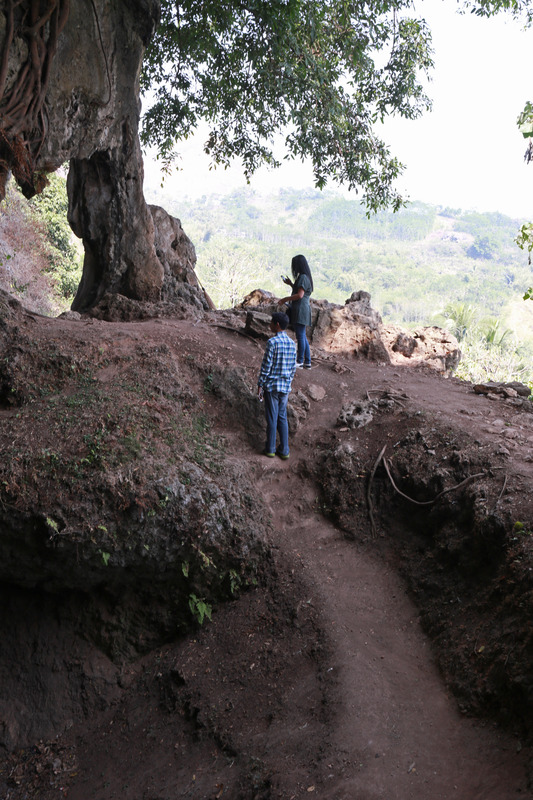 There are stairs to reach the main point of the Cave which make it easy to enter the Cave. 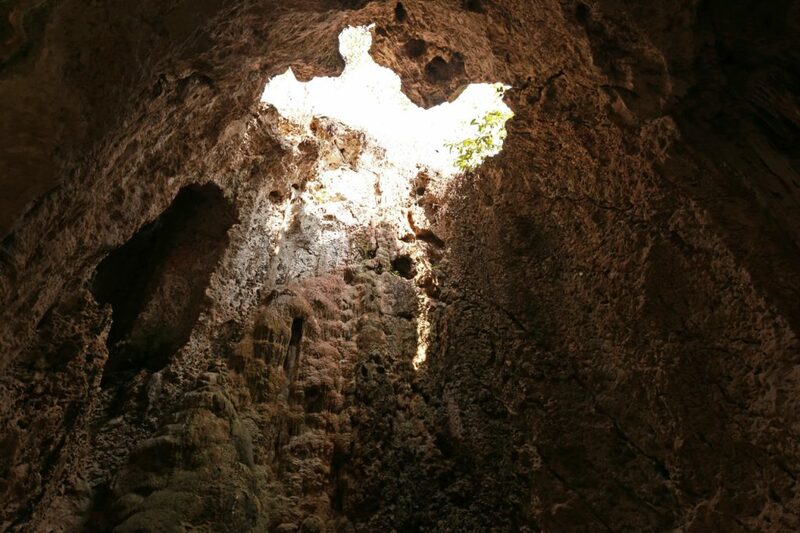 A pungent smell of bats (or rather bats turd) greets you the moment you step into the cave. It is best to wear mask if you cannot stand bad smell. The Cave may not be a huge place to explore but still it requires good stamina to duck down in some places. Be sure to wear comfortable shoes. Taking public transportation is not recommended in all over places in Indonesia for cleanliness, efficiency and safety reason. The easiest and most comfortable way to reach Taman Batu Geo Park is by car. 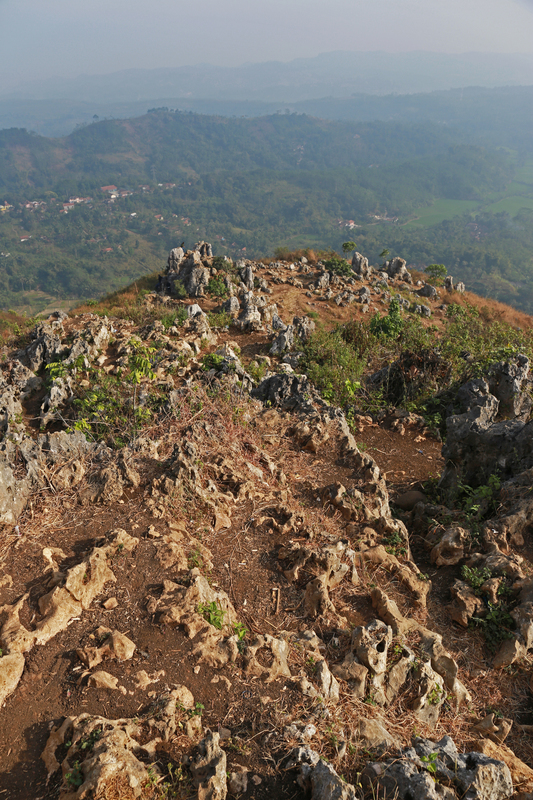 Stone Garden: take toll road heading to Padalarang and exit at Padalarang Gate, then go straight ahead toward Kota Baru Parahyangan and exit Kota Baru Parahyangan heading toward Cianjur. Continue on driving to Jalan Raya Cipatat and take a right turn to a black gate. 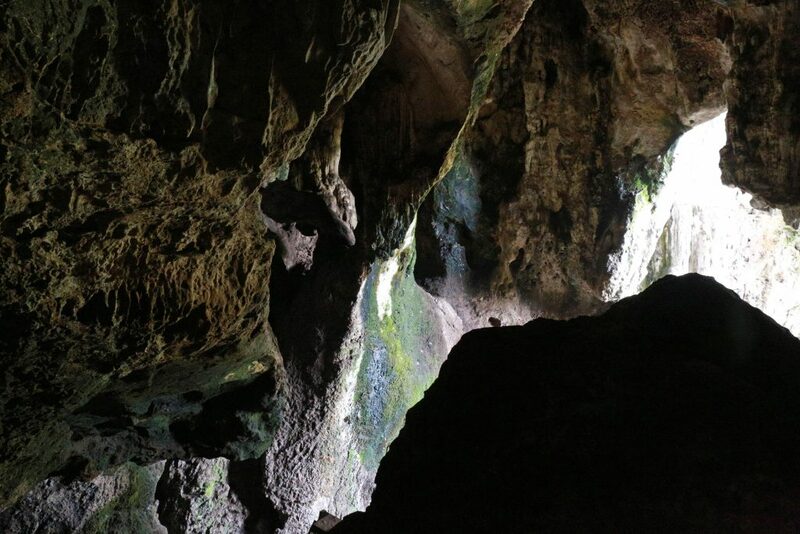 Pawon Cave: getting out from Stone Garden road, turn right toward Cianjur direction and continue driving for about 1 kilometer and take a right turn to a black gate. Entrance Ticket: IDR 5,000/pax, Parking fee: IDR 3,000 – 5,000. Best time to visit: early in the morning before it gets too hot and after 0400 pm. Avoid visiting the site on rainy days because it will get slippery in most of places. Have you heard about Stone Garden and Pawon Cave before? Will you spare time to visit Stone Garden and Pawon Cave while traveling to Bandung?